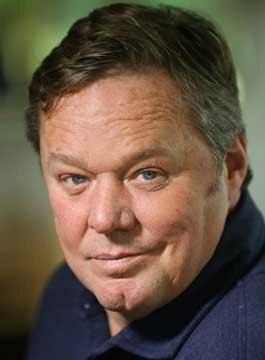 Ted Robbins is one of the most respected entertainers in the country. He is perhaps best known for his role as Den Perry in Peter Kay’s iconic ‘Phoenix Nights‘. Ted has also played characters in a number of award-winning tv shows including The League of Gentlemen, Benidorm and Little Britain. He starred as Mary Taylor’s love-rat interest in Coronation Street and even fixed Dame Helen Mirren’s bike in ‘Calendar Girls‘! As a comedian and guest speaker, Ted Robbins is recognised as a ‘safe pair of hands’. Ted has been the ‘go-to’ warm-up comedian for virtually any TV show with a studio audience. These have included Victoria Wood’s ‘Wood and Walters‘ and ‘Birds of a Feather‘. An accomplished and experienced MC, presenter and after dinner speaker, Robbins has impeccable delivery and a unique ability to gauge his audience. A presenter with BBC Radio Manchester and Lancashire and a regular on-screen reporter for BBC One’s ‘Inside Out‘, Ted lives with his wife Judy in Lancashire.